Social media has been both a blessing and a curse in many ways. For many, they give an opportunity to connect regularly with people across the globe. Or to stay updated in groups of your interest like, for example, groups of people who also enjoy fly fishing. But the world of social media comes with a dark side as well. Their dangers are becoming increasingly obvious and troublesome for those who worry about their privacy and protection online. When you’re sharing something with friends and family, you’re also sharing with the apps and websites. And social media companies are watching your profiles just as closely as your friends do. Probably, even more closely. Knowing how to watch for dangers and protect yourself appropriately is important in our modern age of global connectivity. The use of social media requires walking a fine line between internet privacy and going public. After all, you are posting pictures and updates for hundreds or thousands of friends, so it’s hard to argue for complete social media privacy. But there is information gathering going on in the background that has more to do with personal data than it does with Snapchat filters. These are some of the most common ways social media websites and apps dig into your online privacy. Everything you do online is data, and with so many websites, forums and messages out there, companies have endless sources of new information about you and everyone else who makes a post. Research companies specialize in harvesting data from social media sites, public forums, job websites and any other places where people share information about themselves and their actions and preferences. That information is scraped up by the researchers, sorted and often sold or used as a part of larger research efforts. While all of the information is willingly posted by users online, there is no form of consent or notification about data scraping, which causes concerns about possible invasion of privacy. How many apps do you have on your phone? How many games? Many of those apps and games asked your permission to access your profile through Facebook or Google. When you give the app permission to access your profile, you are opening a possible data leak. Games such a Pokémon Go, which access your complete Google profile, and Facebook messenger like WhatsApp, which access all of your Facebook information, have the possibility of sending information back to advertisers. The apps monitor your posts and pictures and send information on to others who use it to generate specific advertisements on your feed. Think of how many pictures and posts you’ve “liked.” How many thumbs ups have you given? Every time you interact with a post on forums or social media, you leave a cookie, or a bit of data behind. Those cookies stay in your browser allowing companies to track you and your behavior across a range of social media sites and platforms. Some social media sites allow ads to be linked to cookies as well. That means when you like something that comes across your profile, you can be sure to see copious ads for the item, as your advertisements are now linked to your likes. It’s arguable that you are willing to give up some internet privacy when you interact with social media platforms and online forums. Others may feel that targeted advertisements aren’t a huge cause for a concern, especially if they already shop online. But many social media users remain concerned about social media safety, especially as specifics about what information comes to light. Your personal medical information is protected by law. HIPPA has been protecting personal medical information since 1996, and it specifically forbids sharing details about your medical conditions and treatments. Your doctor can’t tell others why you have come for a visit. But, as many information companies have reasoned, there is nothing stopping you from sharing your information. Back in 2010, Nielsen Co., a large research company, was caught scraping information off a medical forum. The company was taking every message off the forums on the site, PatientsLikeMe. 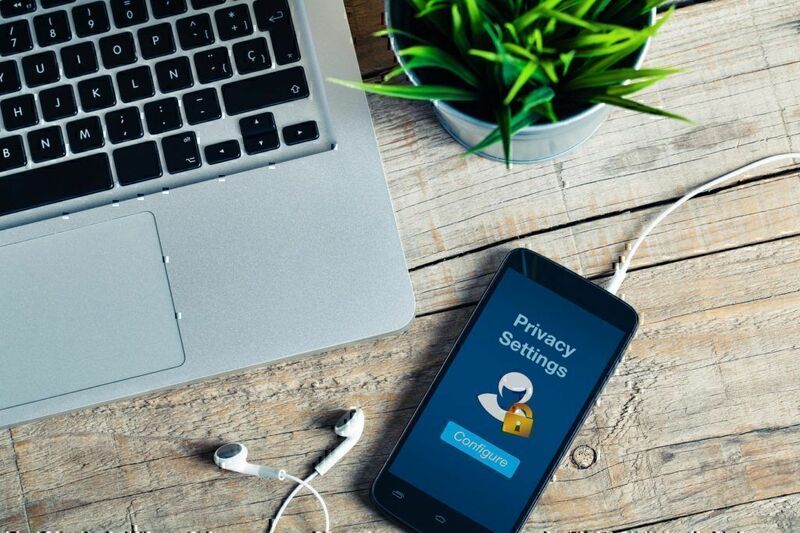 Most of the information was specific to mental and emotional health, and the research company gathered it up to use for its own reasons, making many users feel concerned about internet privacy. Problems with data scraping didn’t end in 2010, of course. More recent examples include a number of lawsuits by a professional website LinkedIn. The company sued 100 individuals in 2016 for scraping user resumes and other professional information off the website. It’s not just about websites and message boards that gather information. Popular fitness trackers like Fitbit also gather your data and report it back to the company servers. Of course, this is a part of the appeal of Fitbit. You can track your health and activities across days, weeks, months and even years to see your progress. But, not only does Fitbit gather your health basics, but it has access to very specific information about your fitness levels, sleep, and exercise routines. It knows how and when you move, and that information is shared as well. Games and apps gather and share personal information through your profiles. Facebook is one that has been discussed in great detail recently thanks to government questions about privacy and information sharing. Popular games and apps have been accessing profiles and scraping information to send back to advertisers for years. Cookies in your browser history tell websites what you like and dislike and that information is used, often in very sophisticated ways. Not everything is negative about sharing information, however. Having your browsing experience and social media platforms tailored to your interests requires sharing what your interests are. This can enhance your shopping experience. Websites and apps know that we like to customize our experiences and personalize things as much as possible. This means a balance between sharing what you’re willing to share and being careful to not share too much. Of course, even when you’re being careful, things can still go wrong. Genealogy websites often ask for personal details about family members. One Pissed Consumer user entered information as a test on the Familytreenow website. He checked the box to protect the privacy of living family members. Immediately information was available online about those whose privacy was supposed to be protected. He explained in his FamilyTreeNow review, “Search on that site (even from other machines) and the details I entered that should be private show up. Deleted my tree, the details I entered are still up well after two days later. Fake social media news has been in many headlines recently. It’s been known for years that personal information shared online can be gathered, but sophisticated algorithms are making it increasingly popular to tailor experiences based on your preferences and world views. Facebook, for example, has assigned every member on the social media platform a political identity. The news stories and information you see in your Facebook feed are dictated by how conservative or liberal Facebook thinks you are. It determines your politics by how you interact with other people’s posts and how you respond to various issues through likes and shares. Facebook is one of the most popular ways of finding other like-minded people and joining groups based on beliefs. Having millions of people to interact and share with through social platforms can enrich lives and expand world views. During 2016, however, many conservatives expressed concern that the editors at Facebook, who were typically liberal, were suppressing news stories that appealed to more conservative users. This creates ethical issues in social media – specifically censorship concerns. In response, Facebook fired the news feed team and changed the algorithms. Then, what has been accused of being fake social media news stories began to spread. It was claimed that many fake social media accounts were created specifically to release misleading and inflammatory news and to disrupt the United States election process. Social media privacy concerns are legitimate. You want to protect your information and yourself from unethical online practices. While one solution might be to simply remove your accounts from all social media platforms and internet websites and accounts, it is not a very practical solution in our modern world. There are too many valuable things about social media to make going off-line appealing for most people. Fortunately, there are other ways to mitigate or resolve social media privacy issues. There is no need to tell the world everything about you. Remove any unnecessary information from social media accounts and set your privacy settings as high as they will go. Give the bare minimum information. There is never a good reason to share personal financial details online and you should be equally wary about sharing location and identifying information. Don’t list details about your mother’s maiden name or your high school mascot, for example. These are often security questions for financial accounts. After allowing an app access to your Facebook account, it’s a good idea to change your Facebook password. This can stave off some of the access tokens the apps use to connect to your information. Change all social media account passwords frequently to avoid hacking and information theft as well. 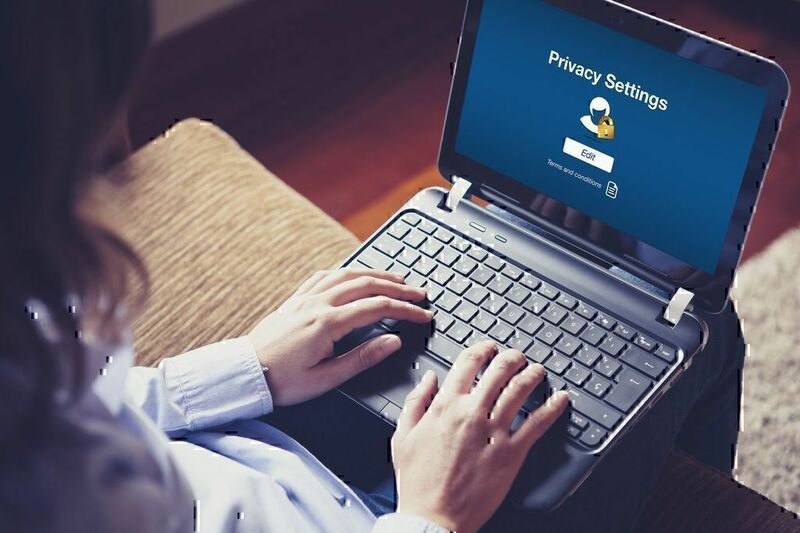 Clear your browser history frequently and limit how cookies can be used on your computer by making changes to your settings. Consider using social media accounts in an Incognito or safe browser that protects and hides your browsing history. Be sure everyone in your family knows the risks of sharing personal information through forums and social media accounts. Consider monitoring children and teens’ use of games and social media to be sure they are acting safely and responsibly. Social media accounts are fun and can be useful. 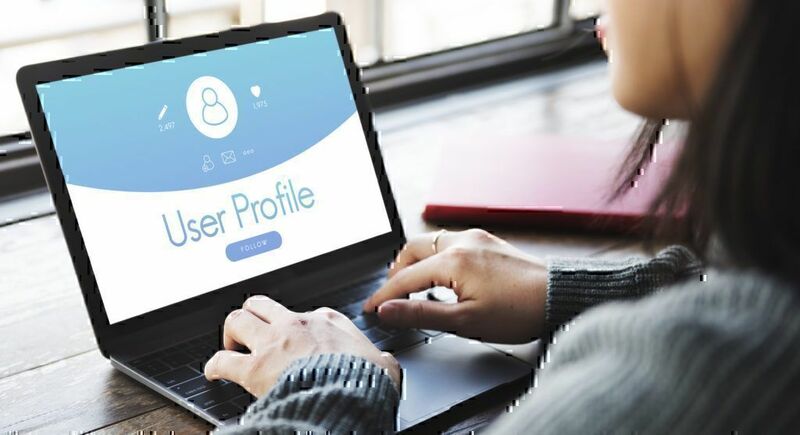 There are certain risks associated with using these accounts, but when you understand them and make efforts to protect yourself and use the accounts wisely, you can easily enjoy the benefits of being in a connected world without worrying about your online privacy.